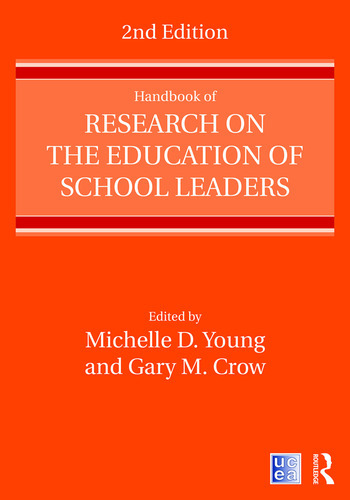 The Handbook of Research on the Education of School Leaders brings together empirical research on leadership preparation and development to provide a comprehensive overview and synthesis of what we know about preparing school leaders today. With contributions from the field’s foremost scholars, this new edition investigates the methodological foundations of leadership preparation research, reviews the pedagogical and curricular features of preparation programs, and presents valuable insights into the demographic, economic, and political factors affecting school leaders. This volume both mirrors the first edition’s macro-level approach to leadership preparation and presents the most up-to-date research in the field. Updates to this edition cover recent state and federal government efforts to improve leadership in education, new challenges for the field, and significant gaps and critical questions for framing, researching, evaluating, and improving the education of school leaders. Sponsored by the University Council of Educational Administration (UCEA), this handbook is an essential resource for students and scholars of educational leadership, as well as practitioners, policymakers, and other educators interested in professional leadership. Michelle D. Young is the Executive Director of the University Council for Educational Administration (UCEA) and Professor of Educational Leadership at the University of Virginia, USA. Gary M. Crow is Professor of Educational Leadership and Policy Studies and Executive Associate Dean of the School of Education at Indiana University, USA.